Two growing seasons after the engineered spring flood of the Colorado River Delta in 2014, the delta's birds, plants and groundwater continue to benefit, according to the latest monitoring report prepared for the International Boundary and Water Commission by a binational University of Arizona-led team. The interim report, released by the International Boundary and Water Commission on October 19, 2016, documents the effects of the environmental flows in the delta from the initial release of a pulse of water from March 23 through May 18, 2014, plus subsequent supplemental deliveries of water through December 2015. Eloise Kendy said, "This is the first time environmental water has ever been delivered across an international boundary." Kendy is a senior freshwater scientist with The Nature Conservancy's North America Water Program. "The level of collaboration was really unprecedented – from two national governments to the individual farmers whose irrigation canals were used for some of the water deliveries," she said. Flessa, Kendy and Karen Schlatter of Sonoran Institute compiled and edited the "Minute 319 Colorado River Limitrophe and Delta Environmental Flows Monitoring Interim Report," on behalf of the binational partnership of many people and federal agencies, universities, and non-governmental organizations that monitored the Colorado River Delta under Minute 319. "The farmers were happy because it recharged the aquifer they use for groundwater irrigation," she said. "And plants that were outside the inundation zone got a big drink of water." An invasive plant species known as salt cedar or tamarisk is now the dominant plant along the river. 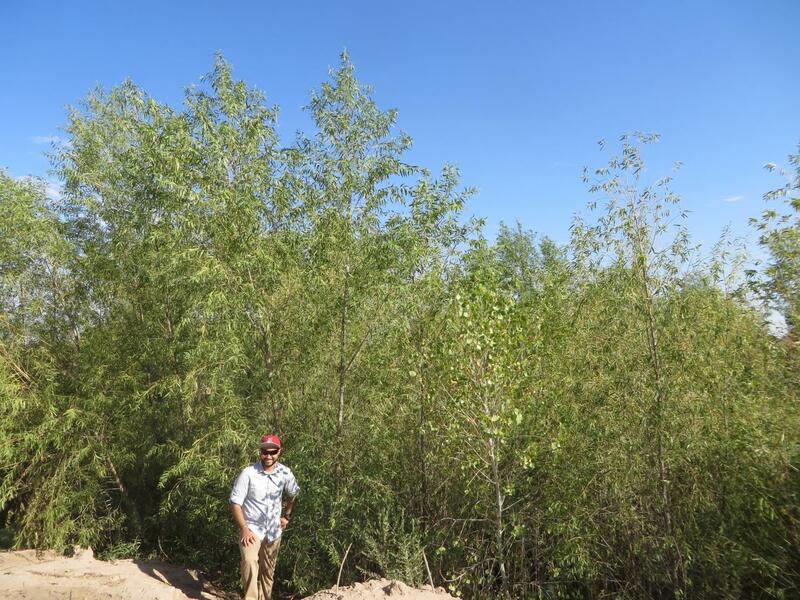 Cottonwoods and willows need bare ground and sunlight to germinate, so they cannot establish themselves on tamarisk-covered riverbanks, Schlatter, a restoration ecologist of the Sonoran Institute's Colorado River Delta Program, said. In addition, the pulse flow reduced soil salinity in some areas that had been targeted for restoration, Schlatter said. "We didn't expect that – it is a huge bonus." Carlos de la Parra of the Colegio de la Frontera Norte is co-chief scientist of the Minute 319 monitoring team. Key contributors to the report include Osvel Hinojosa of Pronatura Noroeste, Jorge Ramírez and Jesus Eliana Rodriguez Burgueño of the Universidad Autónoma de Baja California, Francisco Zamora of Sonoran Institute, Jeffrey Kennedy of the U.S. Geological Survey and Dale Turner of The Nature Conservancy.